I hope you all had a nice holiday season, and a great New-Year! Beautiful image, great details and mood! Interesting soft focus and vignetting, reminiscent of vintage photos. Great wintry close-up, Martina! Best wishes for a happy, healthy and creative 2012. I like the details and the cold atmosphere in this shot!! Stimmungsvolles Frost-Bild. Aber wo ist der Schnee? Superbe ! Une délicatesse, une harmonie de ton qui touchent au merveilleux. 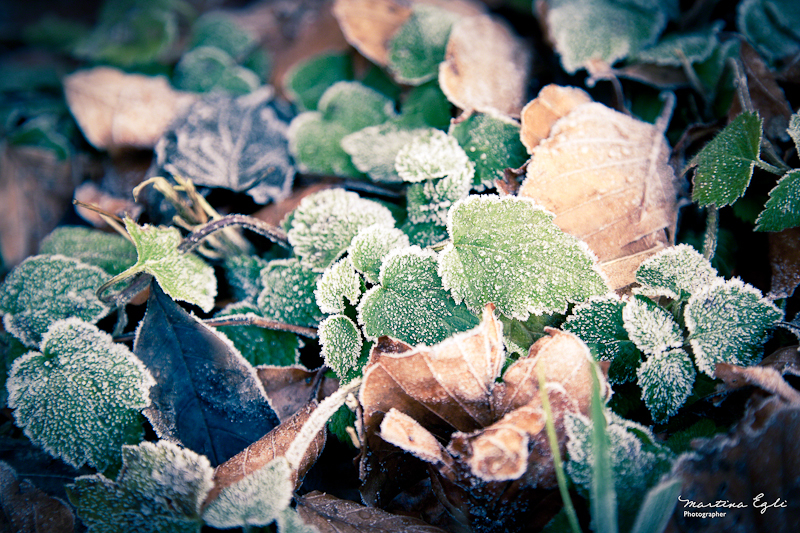 You made the frost the “star” of this lovely composition…not always so easy to do. Very nice. Gorgeous colours and textures, Martina!